Sometimes there will be no power points on your bicycle trip. Luckily, there are so many options these days to harvest our own power. 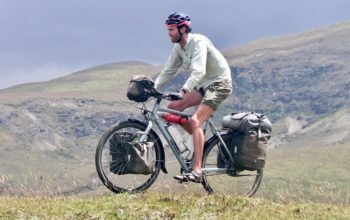 This resources has been created to offer as many bicycle touring power options as possible – covering dynamo, solar, power supply and batteries. 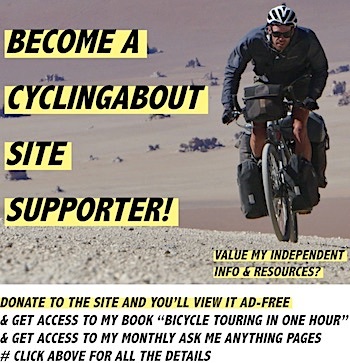 – My preference is to use dynamo hubs. If you have dynamo lights already, do yourself a favour and grab a power supply to start charging your devices. – If you want to charge your laptop on the road – solar panels and batteries are your best option. Just like a laptop, panels and batteries are not lightweight or space savvy. – Solar and/or external battery packs are great for the budget conscious. – If you only need a small amount of extra power between destinations, an external battery is a great solution for you. Batteries come in all sizes depending on the use. If you know of any other great, reputable products that I have missed, please leave a comment below. I love powering my devices from a dynamo hub. Good quality dynamos have no noticeable resistance and coupled with a power supply will provide ample power for most gadgets you carry on a ride. Biologic Joule 3 – This is one of the lightest and most efficient dynamo hubs on the market. The disc hub comes in a bit over 400g and is available in black or silver (32 hole only). Sanyo – The H27 is the best value dynamo hub around. One for the super budget conscious, although if you’re going to the effort to build a new dynamo wheel, it could be worth investing a tad more money into a better performing Shimano option. 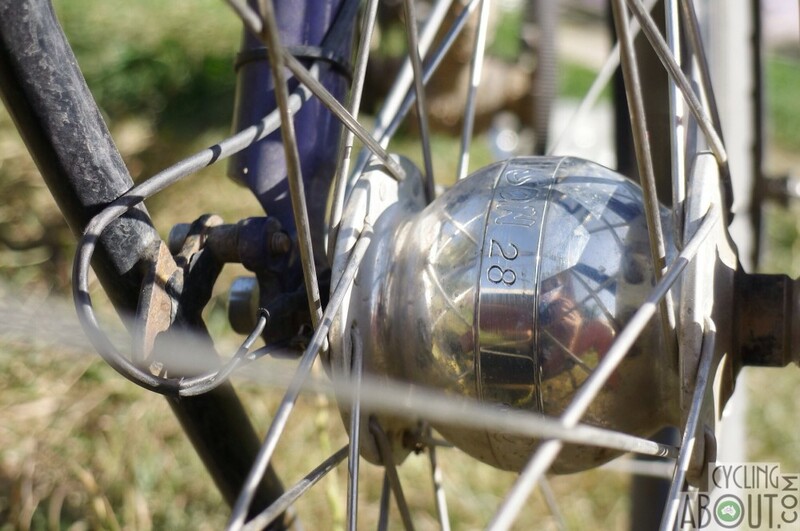 Schmidt – The industry standard for dynamo hubs and my hub of choice. Schmidt dynamos include an incredible five-year warranty and are not expected to need servicing for at least 50000km. 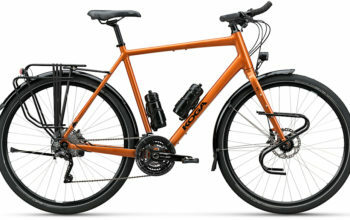 I generally recommend the SON28 for bicycle touring as it reaches nominal power at low speeds – necessary both for charging devices and lighting your way when climbing. The SonDelux is the more efficient option, however it will require higher speeds to achieve the same power. Schmidt hubs come in different axle configurations including 15mm. Shimano – The Shimano T785 (XT) dynamo hub is excellent value for money (and the hub we’d choose from the range) and is popular on complete bikes. 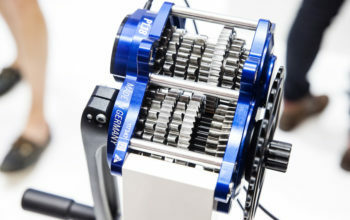 Shutter Precision – Excellent value lightweight dynamo hubs. Similar internals to the Supernova Infinity S but at a lower price. From all accounts SP hubs are standing the test of time. 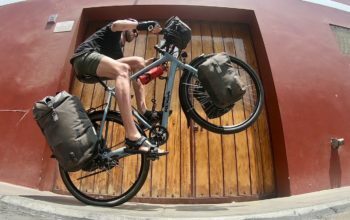 Fat bike dynamo available too! SRAM – The D7 is good value for money, however generally only found on complete bikes. Supernova – Supernova do two hubs; the Infinity 8 (on-off switch but heavy) and the Infinity S (no switch and lightweight). Alleykat love Supernova products and wouldn’t hesitate to use the Infinity S in the future. 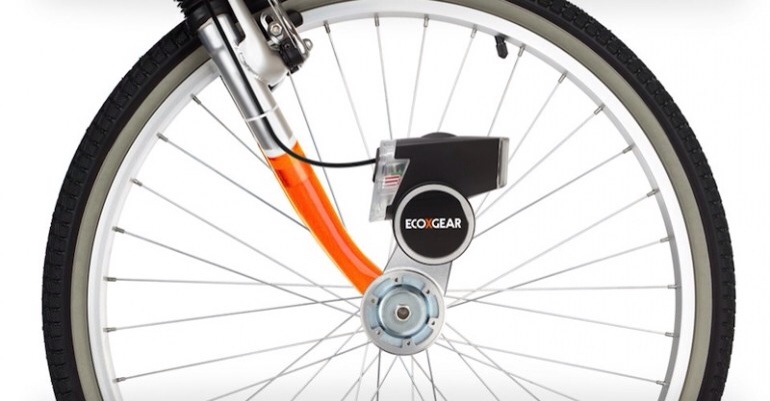 EcoXPower Hub Attachment – This is a really interesting option because the hub attachment has USB charging capability as well as front and rear light integration. Included is a remote switch to turn the lights on and off, as well as a waterproof smartphone case which mounts onto the handlebars. 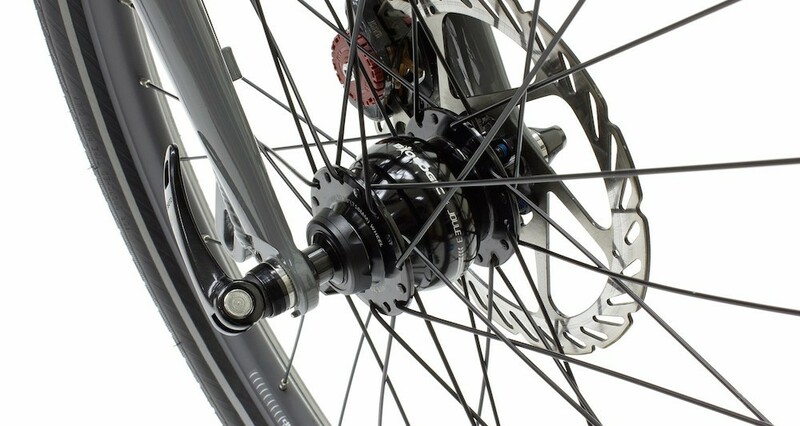 Sunup Eco DSR-1 Hub Attachment – The Sunup bolts onto most existing bikes using 8-10 bolts. I’ve heard it isn’t efficient at all – I’d love for a user to verify this information. Power supplies are an integral part of my bicycle touring kit. They connect to my dynamo hub, do some power converting and then charge all of my devices. More detail on the following power supplies can be found in my dedicated power supply resource. Axa Nano 50 Plus – A dynamo headlamp with USB power connectivity, these lights are really popular on European bicycles. Biologic ReeCharge – This neat mounting product is available at a low price, although the battery capacity (1600mAh) isn’t all that large for post-ride charging. Busch and Muller eWerk – If you want/need to adjust amps and volts to suit different devices while riding, then this is the product for you. We feel this product is expensive and the optional cache battery (also expensive) available isn’t all that powerful (1600mAh) for post ride charging. Busch and Muller USB Werk – The USB Werk is the more recent release by Busch and Muller. It is a stripped back version of the eWerk and with a cache battery built in. The price is now very competitive with other options. If you only need to charge basic USB devices (GPS, smartphone etc), this will do all that you need! 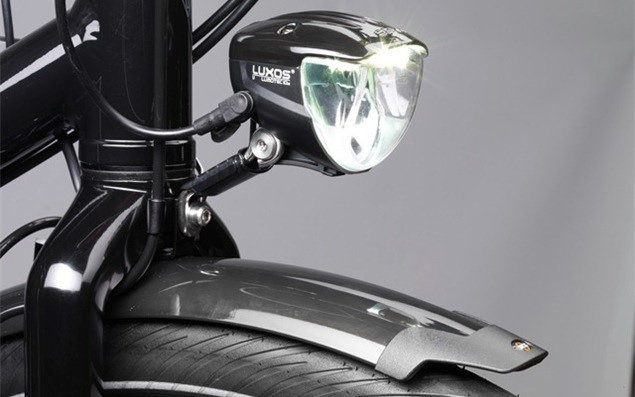 Busch and Muller Lumotec IQ2 Luxos U Light – A new fantastic, bright dynamo headlamp with USB connectivity and a button on the handlebars for selecting whether the power should go to the light or the USB device. No external battery available for post-ride charging. 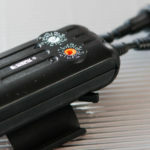 Exposure Revo Light and Boost Cable – The Revo is probably the brightest dynamo light on the market. It has a port which allows you to hook up Exposure’s ‘boost’ cable and charge USB devices with it. LightCharge USB Charger – The cheapest dynamo power supply option of them all. 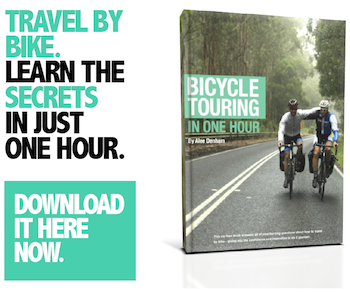 It can only charge devices while the bike is moving – there is no battery. PP+ Super-i-cable – The SIC connects to a dynamo hub and can charge devices as you ride, or stores enough power (2200mAh) to charge your devices once you’ve stopped. Our review HERE. PP+ V4i – The V4i is the extra battery to be used with the SIC. 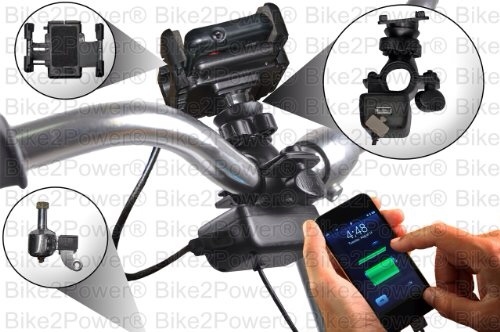 It can charge our iPhone four times with 10 hours ride time. The battery has a 6700mAh capacity. Review HERE. Sinewave Reactor – The Reactor is a new stem power supply competitor to The Plug III. It’s advantage is a slightly lower cost and smaller stack height. As it is new, it is unknown how reliable or effective it is at this stage. Sinewave Revolution – This particularly small and 100% waterproof charger (see the pics) can be hooked up directly to phones or power packs. According to the manufacturer a built-in battery model is in development. Supernova The Plug III – The neatest, most elegant power supply of them all, and the one we use. 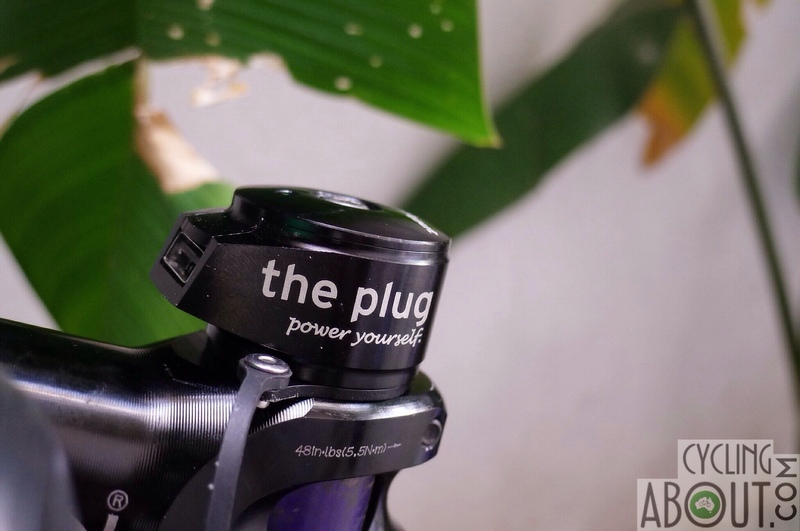 The cable runs from the hub and mounts beautifully on the top of your stem cap. 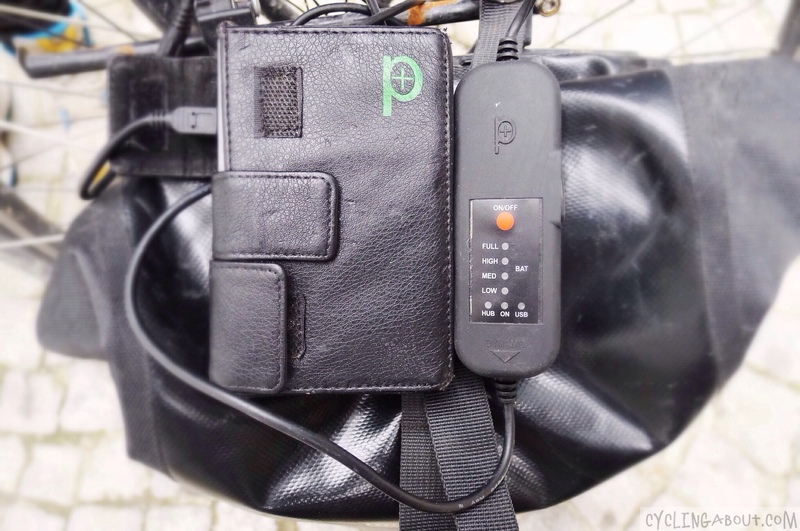 It is theft proof and can charge a smartphone or GPS from just 12km/h. My five-star review is HERE. ZZing – We don’t know too much about this product, but it seems like a more cost effective alternative to the others. It packs 2700mAh in it’s battery. Bottle dynamos have been proven before to be more efficient at higher speeds than dynamo hubs. But with dynamo hubs getting more efficient and LED lighting dominating the market nowerdays, 12 volt bottle dynamos don’t really have a place and 6 volt dynamos are only really for those on a tighter budget. If you are using a bottle dynamo, you are limited with lamp options – more here. B&M Dymotec 6 and S12 – These are the best in the business however we think the Dymotec S12 is a bit pricey for what it is and the Dymotec 6 is a pretty basic unit. Solar power technology is ever evolving and is pretty much just getting super awesome. 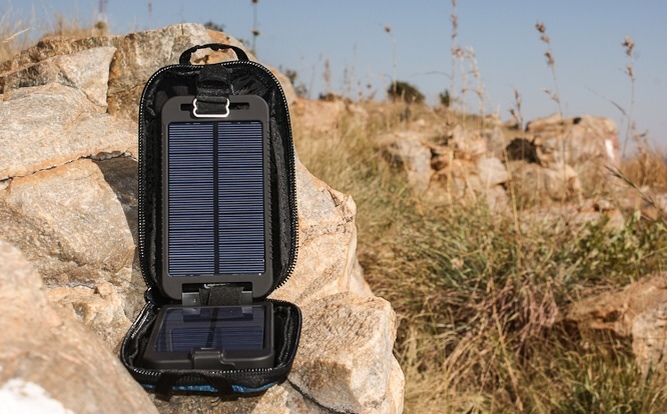 If we travelled with laptops we wouldn’t hesitate to get a mega solar kit and battery to keep everything running wherever we are. We actually aren’t very experienced in solar power ourselves but hear and read a lot from crew travelling around the world. Note: There are lot and lots of solar chargers available, but these are from the larger brands with a more established reputation. 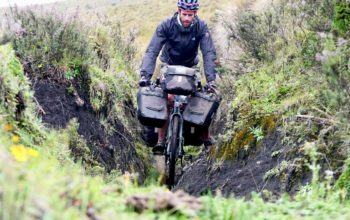 Your travel might be short enough or you might have enough access to power to never need dynamo or solar chargers for your bike trip – batteries might just be small and light enough to keep your devices going between wall plugs. Some of these battery packs will connect directly to the above dynamo hubs or solar panels, holding saved power for when you need it most. Note: There are lot and lots of external batteries available, but these are from the larger brands with a more established reputation. Please check for connectivity to solar panels. Anker – Well priced products with batteries ranging in size from 2600-20000mAh. 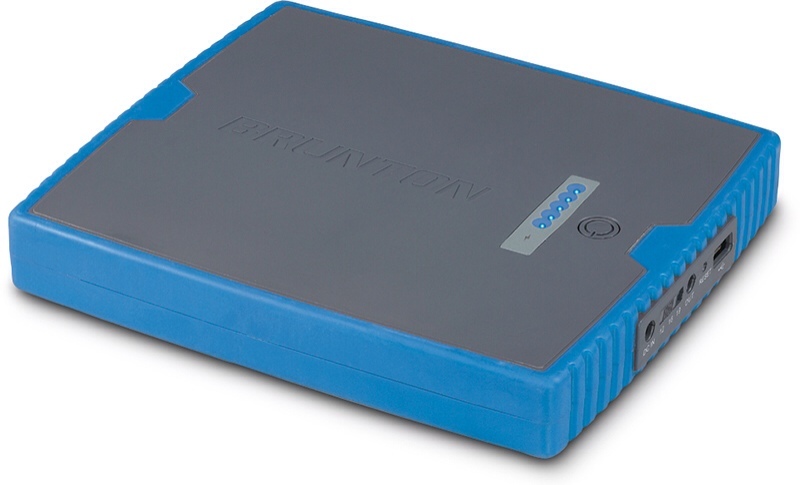 Brunton Impel/Sustain – Super well made products with a power capacity ranging from 2800-13000mAh. Slightly more expensive than the competitors, but they are worth it. Check out the small waterproof battery! Energenie – Decent products available with between 1800-20000mAh juice. 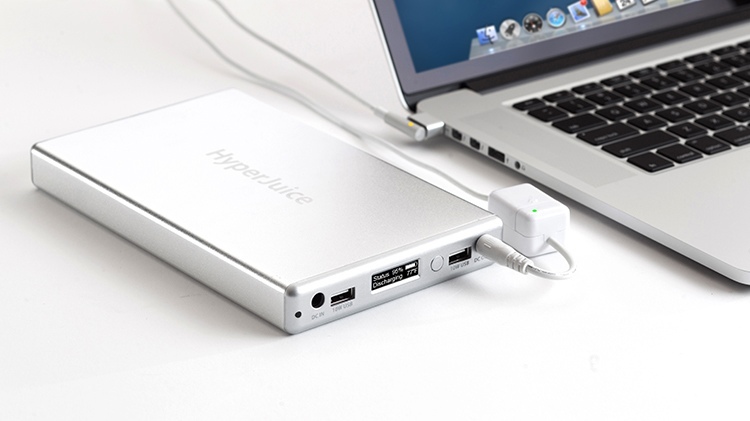 Hyperjuice – Big batteries for laptop charging: 60-222Wh power, but all this comes at a cost (360-2130g weight). This is the system we would use if we needed to use a laptop in remote areas. Innergie – A nice looking range of products for laptops and USB devices. Just Mobile – A cheap, punchy 5200mAh option in a small casing. Mophie – From the makers of iPhone battery cases, these products range from 4000-6000mAh and are of a great quality. Powertraveller – A good range of external battery products for everything from phones to laptops. PP+ SIC – Although a power supply, we’ve included this great cable in the battery section because it holds a satisfactory 2200mAh of power. 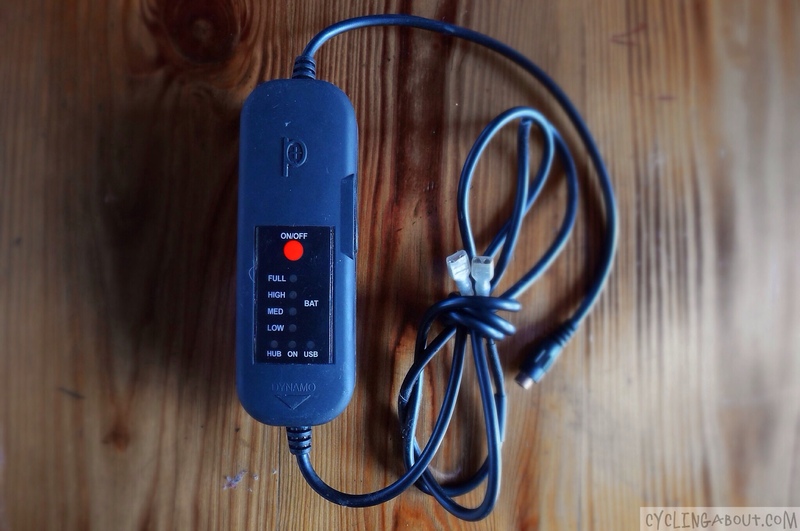 PP+ V4i – It is possible to buy the V4i without the dynamo cable, however we feel it is a bit expensive to use just as a battery. 6700mAh of power. Scosche – The goBAT II is a nice looking 5000mAh battery that is available at a great price. Veho Pebble – Very well priced and shiny black 5000mAh battery. Voltaic – Neat products at a great price. 3000-16000mAh is available for USB devices. Their large laptop battery is 60Wh.